Long tail refers to the edges of statistical distributions. For example, think of a simple bell curve of customers based upon shirt size, with the basics being small, medium and large. The bell curve distribution would have a peak over medium, with smaller but still significant numbers for small and large. However, if you visualize the bell curve at the right and left edges extending almost infinitely – on the left to XS, XXS, XXXS and on the right to XL, XXL, XXXL, and so forth, the areas to the left of small and to the right of large are the long tail. There are fewer customers, but still a desire among a small subset of customers for the feature. Now suppose that in our example of shirts, we superimpose on this a variety of features, such as color, cloth, sleeves, buttons, collars, fit, and so on. There is a nearly infinite set of possibilities for people to fall within the long tail for one feature and maybe smack in the middle for other features. The bottom line is that customers in the long tail want to be serviced, probably are underserved and are very numerous! The challenge is unlocking the opportunity and serving them better at a reasonable cost. Big Data is at least a big part of the answer. Big Data allows us to identify what customers in the long tail desire. Indeed, Big Data provides extremely robust insights into the needs and preferences of customers. As a result, for many features that might fall in the long tail, Big Data provides the opportunity to identify precisely the customers that have certain preferences and market to them. 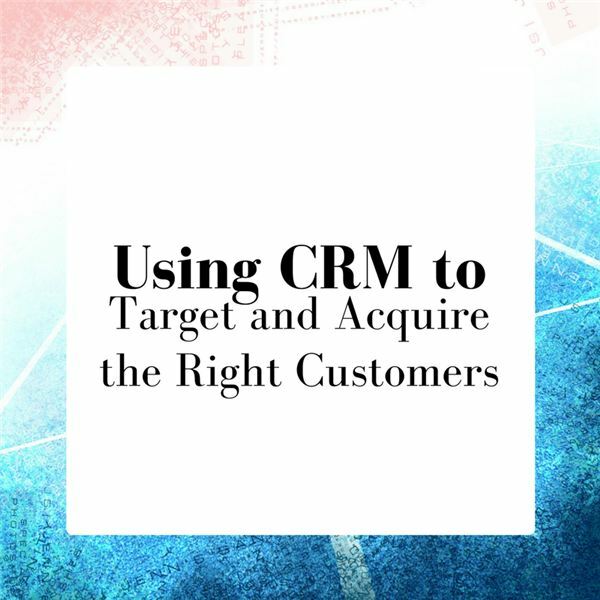 A key factor for a company is to implement a CRM strategy that allows them to leverage the opportunity of Big Data with its customer information. One of the keys is who owns the customer information. Often times, partnerships, subcontractor relationships, and other factors related to industry structure determine who will actually own and have access to the customer data. Ownership of this customer data has increased in value. What customer data does your company have? What additional customer data might be valuable to acquire? This four part series looks at the strategic drivers around customer relationships, using CRM to target and acquire the right customers, operational aspects of CRM and how you can maintain an agile posture with your CRM strategies to respond quickly to shifts in the marketplace.